An unprecedented clinical trial launched at the Hadassah Medical Center, which will test the effectiveness of a treatment for Multiple Sclerosis (MS) involving multiple injections of enhanced stem cells directly into the cerebrospinal fluid, could bring hope to the 2.5 million patients worldwide suffering from this neurodegenerative disease. 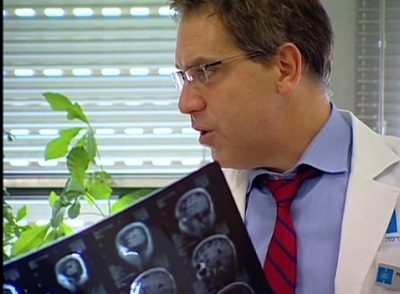 The trial, under the direction of Prof. Dimitrios Karussis, head of Hadassah’s Multiple Sclerosis Center, is a large randomized double-blind, placebo-controlled study that will eventually have 48 MS patients. 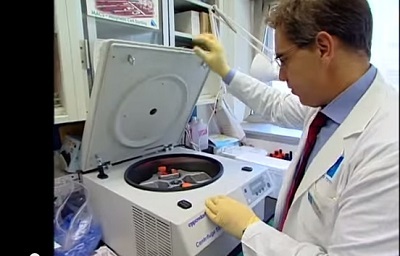 While the patients in the control group will not know if they are initially getting the actual treatment or a placebo, the trial contains a crossover design so that eventually everyone will get the stem cell treatment, although some patients will receive the actual treatment six months later. Prof. Karussis hopes to have an interim analysis of the results within one year; the study is intended to be completed at the end of 2016 or early 2017.